Patients treated with coronary-artery bypass surgery survive about three years longer than those who have their blood vessels propped open with stents, researchers reported Sunday at the American Heart Association's annual meeting, in Chicago. That's important news for about one-quarter of patients now receiving stents, because they are diabetic with many blocked arteries and would benefit more from bypass surgery, said study senior researcher Dr. Valentin Fuster. He is director of Mount Sinai Heart in New York City. "It's a huge high-risk population in which we now can say much more categorically, we are affecting their risk of mortality," Fuster said. "This is not a trivial issue." Results of the follow-up were also published online Sunday in the Journal of the American College of Cardiology. In 2012, the first FREEDOM results showed that diabetics with many blocked arteries had fewer heart attacks and strokes and were less likely to die if they underwent bypass surgery instead of getting a stent. But the results for death risk alone were "borderline" by the time of the average 3.8-year follow-up, Fuster said. So researchers decided to continue tracking patients and see if a more clear benefit would emerge. The initial trial involved 1,900 patients who randomly underwent either stenting or bypass surgery between 2005 and 2010. During an additional five years of follow-up, about 24 percent of people who received stents died, compared with 18 percent of those who had bypass surgery. 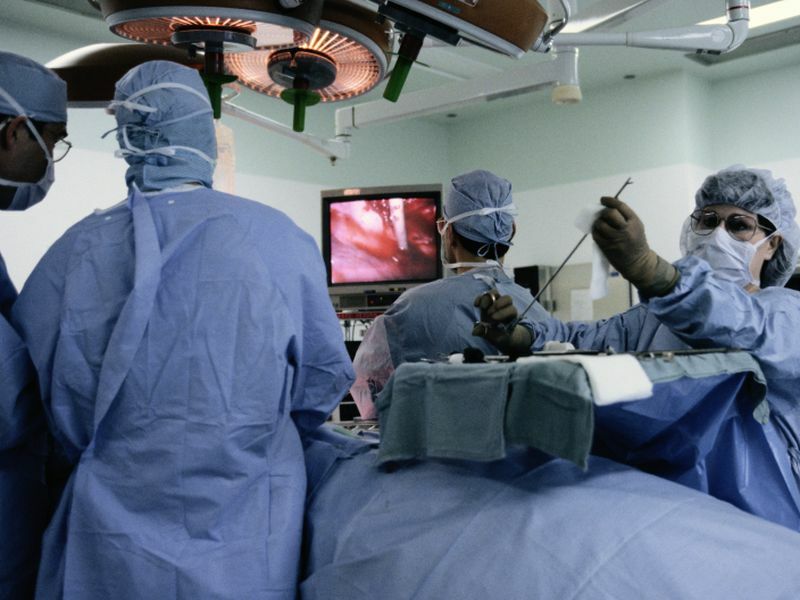 Overall, people treated with bypass surgery had 36 percent better odds of survival. "The results are quite significant in terms of mortality," Fuster said. "They're not borderline anymore." Both men and women and all races saw a survival benefit from bypass surgery, but the greatest benefit was in patients younger than 65, the findings showed. Current guidelines already call for bypass surgery in these patients, said Dr. Michael Valentine, president of the American College of Cardiology. "I think what this does is it solidifies our current recommendations and guidelines," said Valentine, a senior cardiologist at the Stroobants Cardiovascular Center of Centra Health in Lynchburg, Va.
Stents can clog over time, and don't address widespread hardening of the arteries in these patients, Valentine and Fuster said. "The vessels stay open longer with an arterial bypass," Valentine said. Fuster agreed. "When you use bypass, you bypass everything. It is a safe mechanism. It is a pipe that overcomes everything," he said.